ANAHEIM, CA — For those looking to get even more photos with Mickey Mouse, Disney is opening a social media "pop up" with decorated rooms and photo backdrops in Downtown Disney near Disneyland in Ahaheim, California. 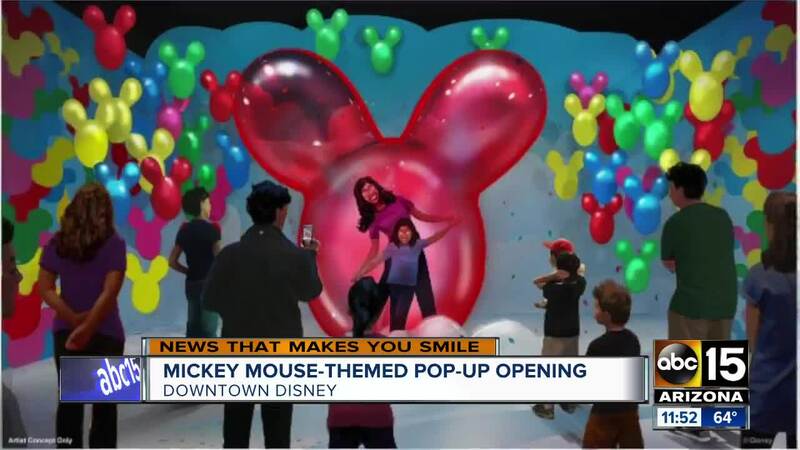 "Pop-Up Disney! A Mickey Celebration" will open on April 26 in the old ESPN Zone building, Disney announced this week on its official blog . All of the rooms are "inspired by all things Mickey Mouse" and are "filled with "selfie-worthy surprises and plenty of fantastic photo ops," the post said. Disney also released three artist concept drawings of what a few rooms would look like. One room was inspired by the Walt Disney's 1928 black-and-white cartoon, Plane Crazy, which features Mickey Mouse and Minnie Mouse as initially drawn. 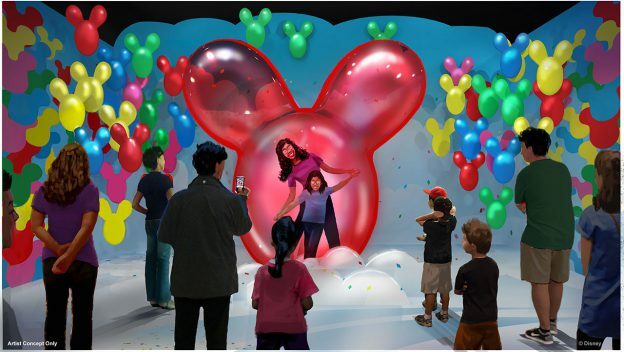 Another room features dozens of the famous Mickey Mouse-shaped balloons, including one that is reportedly eight-feet tall. 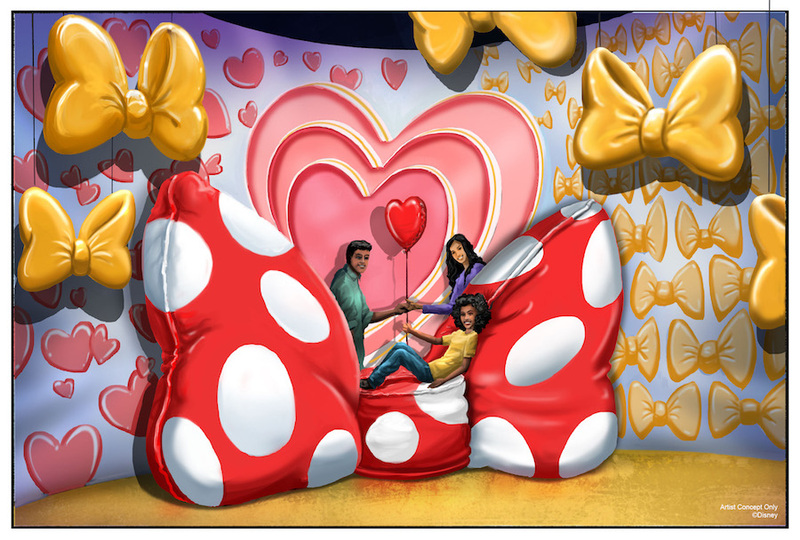 For those who love Minnie Mouse, one room will have a red bow-shaped plush sofa with white dots. There will also be gold bows and pink hearts on the walls, according to one of the renderings. According to the blog, there are more than a dozen "hidden Mickeys" throughout the the experience. Tickets are $30 - $38 per person and includes five hours of free parking within the Downtown Disney District lot. Tickets have to be purchased online and in advance.